DW Windows are one of the West Midland’s premier double glazing companies. During the last 10 years, we have completed thousands of installations across the area. If you live in Kidderminster, then it’s highly likely that you’ll have seen our installation teams working on a property somewhere near you. From Brinton Park to Stourbridge Road, we’ve got the local knowledge to make every installation a successful one. The largest town in the Wyre Forest District, Kidderminster is a picturesque town with a wealth of attractive Victorian architecture. Kidderminster is known as the town where the carpet industry was founded. In the 18th century the town grew around this industry and by the 1950s, there were over 30 carpet manufacturers in the town. These days, Kidderminster is a haven for walkers, cyclists, and boaters; with the Staffordshire and Worcestershire canal and the River Stour flowing through the centre. With three shopping centres, and numerous pubs and restaurants, Kidderminster is a popular destination for visitors and people looking for a place to live. Whether you live in one of the many Victorian terraced properties in the town centre or on a new development on Stourport Road, DW Windows can help you to improve your property. If you live in a traditional house and your timber windows are in need of replacement; we have a range of timber look uPVC windows to choose from. Alternatively, if your home was built more recently why not make the most of the latest technological advancements with our Apeer Lumi Windows. These frameless windows provide a stylishly contemporary look to any home. If you live in or around Kidderminster and you want to know more about what DW Windows can do for you, get in touch. Our industry knowledge and expertise can help you to create the home of your dreams. 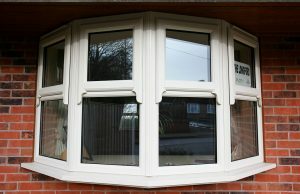 For high quality double glazing Kidderminster choose DW Windows.